You are currently browsing articles tagged wine. I’ve been enjoying the fiestas so much that I nearly forgot to post part two! 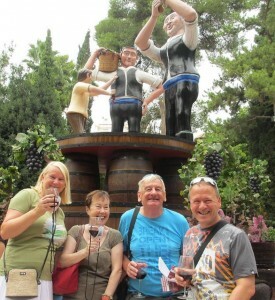 Jumilla certainly knows how to put on a good party and one that people of all ages can enjoy. The next two days though are definitely aimed at the youngest members of the family. 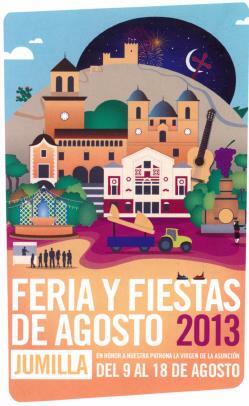 The Feria infantil – Children’s Fair – will be taking place in the playground of IES Arzobispo Lozano and entry is free. School was never this much fun! 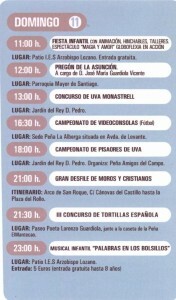 There are a couple of intriguingly titled competitions on the Paseo Poeta Lorenzo Guardiola in the early evening. At 17.30 “La uva caliente” takes place and then at 18.30 “Mosto Pong”. I may go along just to see what they’re all about! This day has been designated the day of the child, as they are offering a 2 x 1 deal on all fairground rides, however it’s also a good day for adults, with the Cabalgata Tradicional. 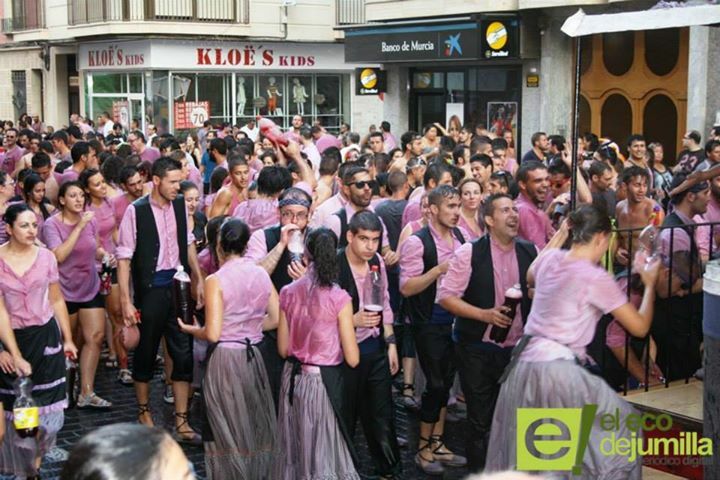 Jumilla is renowned for its Gran Cabalgata with lots of wine throwing (more of that later!) but this is my favourite procession. 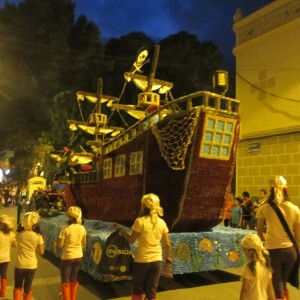 The parade of decorated floats starts near the tourist office and slowly makes it way along Cánovas del Castillo, eventually finishing near the indoor market. I say slowly, because the participants are busy handing out sangria, wine and snacks to the spectators, as well as sampling some themselves and dancing to the music. It’s a great carnival atmosphere. 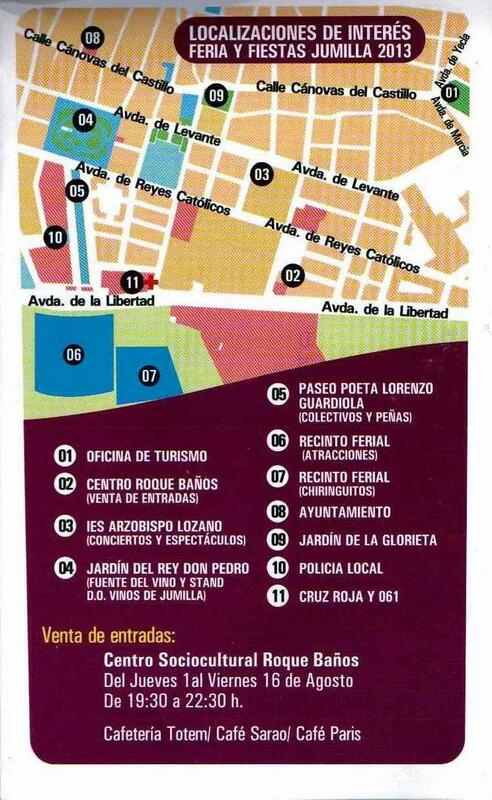 If you feel like partying a bit longer, there is a festival of local groups in the Jardín del Rey Don Pedro. There will be free entry to the garden until it’s full, however if you can find a spare seat in one of the bars outside you can then enjoy a drink while listening to the music. Another favourite of mine is the parade of horses and carriages, with many of the participants dressed in traditional costume. I’m hoping that some of the riders will show off their horses’ capabilities as they’ve done in previous years. I enjoy watching horses dance as much as I enjoy watching human flamenco dancers. I’m a bit of a fan of Al Golpe, who play flamenco style music that is bound to get the locals up on their feet. 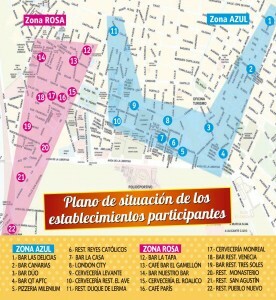 They will be playing on the Paseo Poeta Lorenzo Guardiola. If you’re lucky, you might even see me trying out my dance steps there! 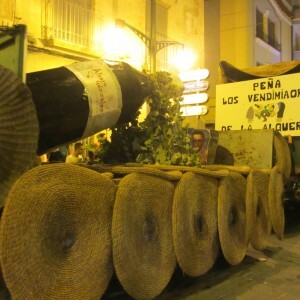 The infamous Gran Cabalgata will leave from Avenida Reyes Católicas, with plenty of wine throwing as well as wine drinking. This is for the young as well as the young in heart. One word of advice for the ladies: don’t wear your best white summer dress unless you want it to change into a pink one! The good news is that there will be showers outside the market when you reach the end of the parade. The other good news is that there will be free music at the Festival Tinto Rock, starting at 23.30. Enjoy! 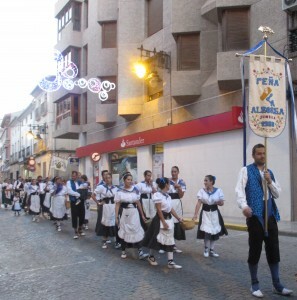 The last day of the Feria and Fiestas of Jumilla is a reminder that these are held to honour the patron saint of Jumilla, Nuestra Señora la Virgen de la Asunción. After mass at the Parroquia Mayor de Santiago, the statue of Our Lady will be carried to the Ermita de San Agustín. The final free concert will take place in the Jardín Rey Don Pedro, with the singer Maribel Castillo performing coplas and spanish songs. That isn’t the last act though, as at 00.30 there will be a firework display at the municipal sports stadium. Click on the following link to see the street map of Jumilla if you are unfamiliar with the town and would like to join in our fiestas. If you would like a free guided walk around Jumilla, either during the fiestas or at a later date, please contact me via the Contact page. There’s always something happening in Jumilla, but during the month of August it seems to be one long party, with music, folk dancing, Moors and Christians, various sporting competitions and – not surprisingly – lots of wine! 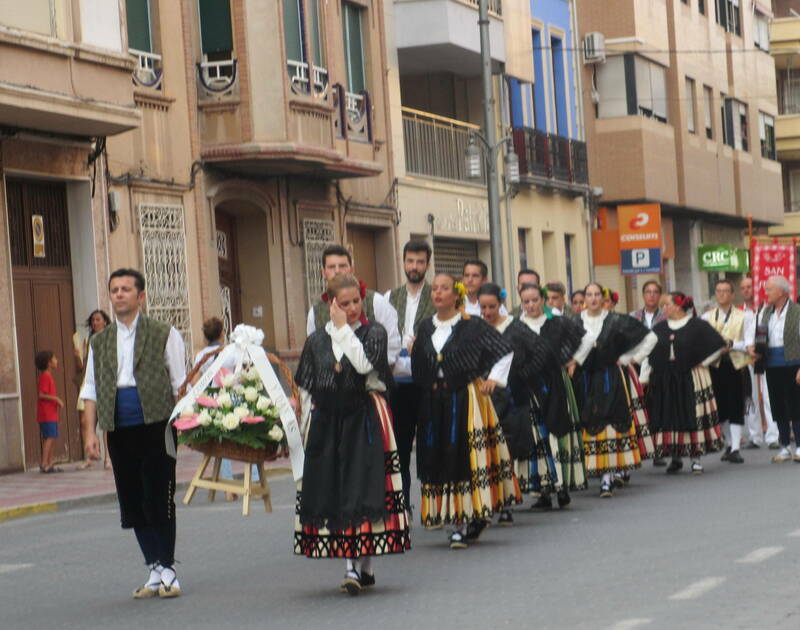 The celebrations have already begun, with the Noche de las Antorchas and the Offering of Flowers to La Virgen de la Asunción (the Patron saint of Jumilla) both taking place last weekend. 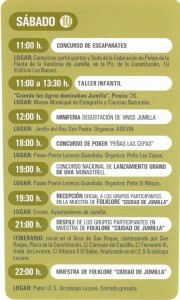 Don’t worry though as there are plenty more events for you to enjoy in Jumilla between 10 and 19 August. There is so much happening that I’m just going to highlight the key events, which also happen to be my favourites, and I will write two separate posts. The inauguration ceremony of the Feria & Fiestas 2018 will start at the Town Hall. Then there will be a procession to the Folklore Monument, to the Jardín Rey Don Pedro for the inauguration of the Fuente del Vino (the photo below shows the fountain from a previous year) finishing at the Moors and Christians campsite on the Paseo Poeta Lorenzo Guardiola. There will be free entry to the IX Festival Juvenil de Bandas de Música, with our two excellent local bands taking part. The miniferia del vino will already be in most people’s diaries, including mine! It takes place in the Jardín del Rey Don Pedro. 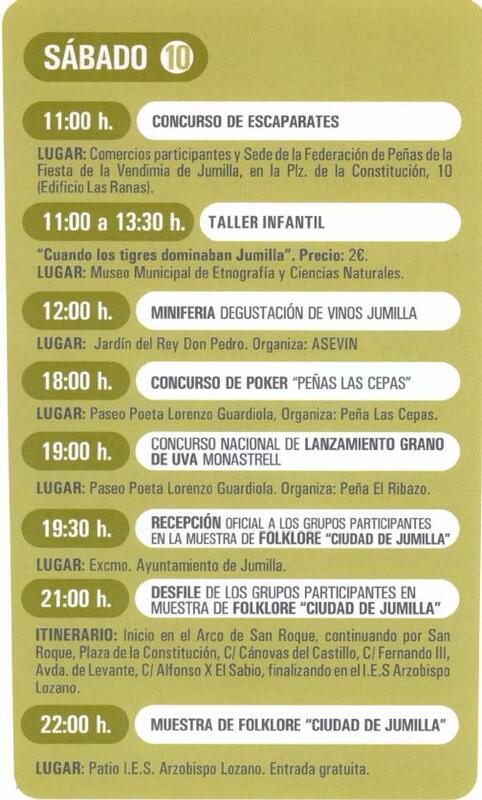 It is an opportunity to taste some of Jumilla’s best wines, as the main bodegas will have stands in the garden. I will update this page when I have more details, however usually you pay 5€ for a wine glass that you can take home and then you can wander around the stands sampling the wines. It is advisable to either book a hotel in town that evening or arrange for your personal chauffeur or a taxi to take you home, unless you live in town like me and can just stagger home afterwards! I always enjoy the Artisans Market on the Paseo Poeta Lorenzo Guardiola, as it is a chance to buy something original and also to support local artisans. The inaugural session of the 35 National Folklore Festival will take place in the Jardín de la Glorieta and will be free. The main parade of the Moors and Christians will start at the Arco de San Roque, going along Cánovas del Castillo to la Plaza del Rollo (beside the tourist office). This colourful spectacle is one of my favourite events. Folk evening in the Jardín de la Glorieta, with the group Luar na Lubre. This is another free concert and one that I definitely won’t miss, having discovered that this Galician group not only has someone playing the bagpipes but also has a soloist with a beautiful voice. The Cabalgata Infantil de la Vendimia is always fun to watch, as the children enjoy themselves so much, the floats are impressive (as shown below) and the costumes are colourful and imaginative. It starts near my house and continues along Canovas del Castillo, turning down Avenida de la Asunción and then onto Avenida Levante, finishing at the indoor market. The closing act of the Folklore Festival will be another free session, taking place in the Jardín de la Glorieta. 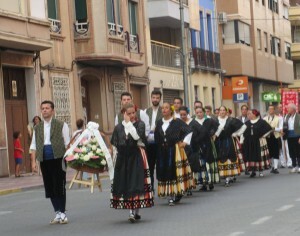 The Procession of the Peñas (local associations) taking part in the Ofrenda de Uvas (Offering of the Grapes) starts on the Paseo Poeta Lorenzo Guardiola and winds around the town, finishing in the Jardín de la Glorieta. Participants are dressed in traditional costumes, carrying their baskets of grapes, and accompanied by music. The evening ends with the treading of the grapes and offering the first must (freshly crushed grape juice) to the “Niño de las Uvas”. If you haven’t seen it before it’s a definite “must”! Click on the following link to see the street map of Jumilla if you are unfamiliar with the town and would like to join in our fiestas. 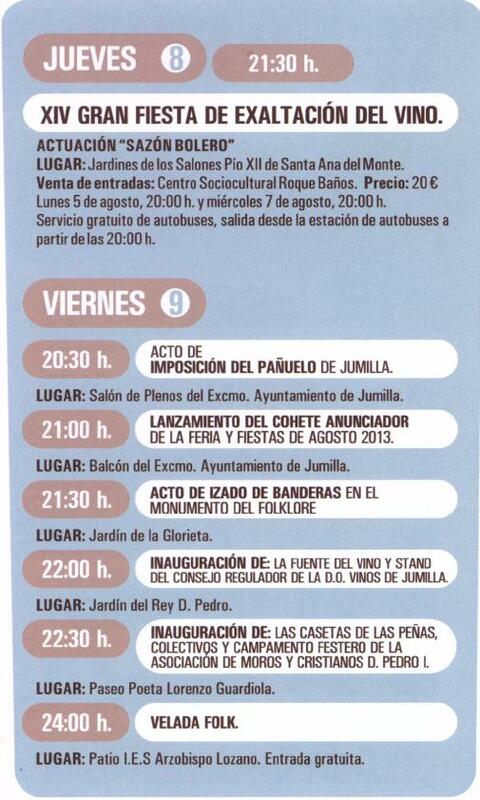 If there is a perfect time to visit Jumilla, it has to be during the Feria and Fiestas of August. There is something to suit everyone: whether you like drinking good wine; prefer listening to traditional music; love watching colourful processions or, like us, enjoy all of these activities. I have included the programme up to and including the first weekend of the festivies. 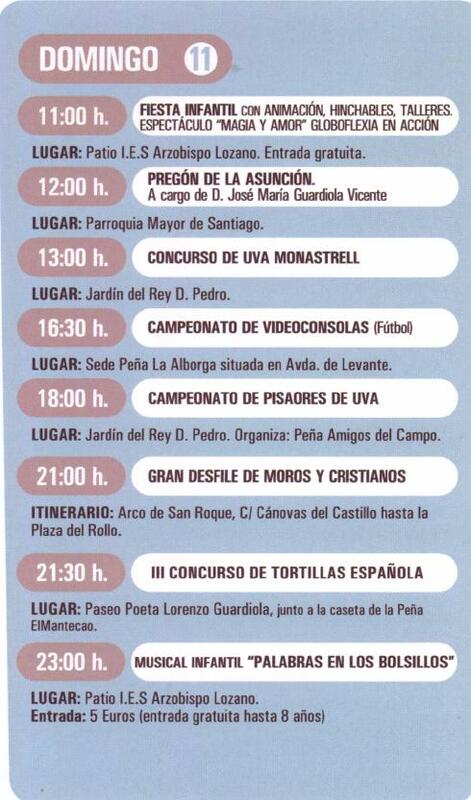 As you can see Friday is going to be a busy day with the official launch of the fiestas, including firing a rocket from the Town Hall balcony and the inauguration of the fountain of wine. If you don’t mind late nights, there is free entry to the Folklore Festival, which starts at midnight. Wine lovers should put Saturday 10 August in their diaries now! The popular miniferia del vino will take place between 12.00 and 15.00 in the Jardín del Rey Don Pedro. Last year all we paid was 3€ for a wine glass, then we strolled around the many wine stands tasting the best wines from Jumilla. What’s not to like? Also on Saturday, there will be a parade around town of all the groups taking part in the Folklore Festival, starting at 21.00, followed by a performance in the Patio I.E.S. Arzibispo Lozano at the more civilised time of 22.00. Culture buffs shouldn’t miss the Moors and Christians procession starting at 21.00 on Sunday 11 August. 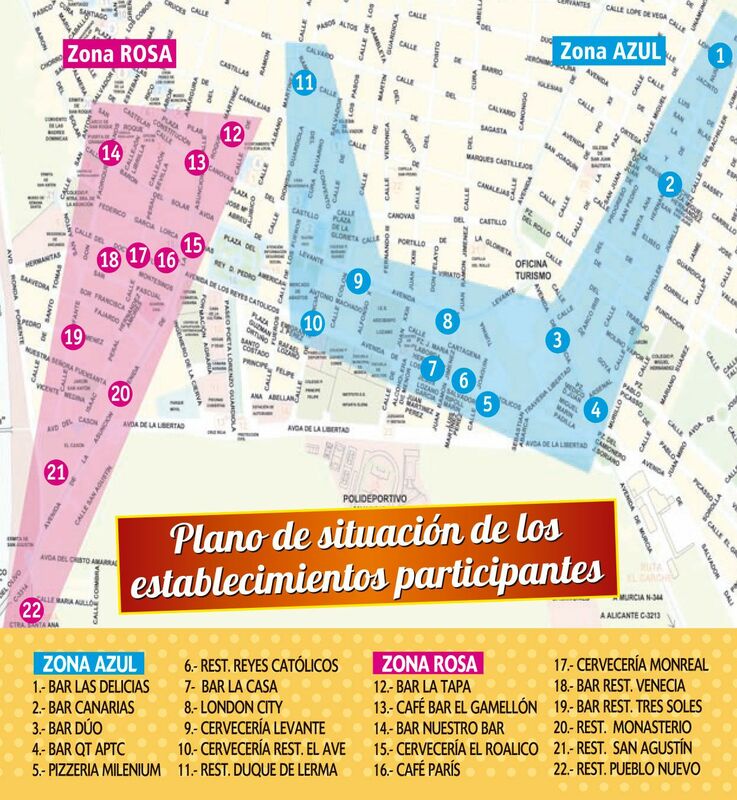 Grab a table on Calle Cánovas de Castillo (there will be a charge) so you can enjoy a drink while watching, or bring your own chair and fight for a space along the processional route. Music, dancing, drama: the Gran Desfile de Moros y Cristianos has it all. With the arrival of June and (hopefully!) 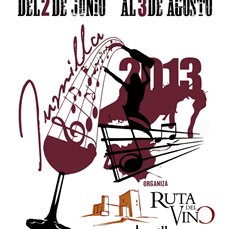 a long hot summer, we can also look forward to this year’s Música entre Vinos in Jumilla, organised by La Ruta del Vino de Jumilla. What exactly is Música entre Vinos? Not surprisingly it involves both music and wine: most events will start with a tour of the bodega, followed by a concert – and you will of course have the opportunity to try the bodega’s best wines accompanied by a variety of local tapas. When I say tapas, I mean a lot of food, so do come with an empty stomach! I don’t eat meat, but I still manage to find plenty of food that I can enjoy. Tickets cost a reasonable 20€, the same as last year, and can be bought either direct from the bodega or from Los Chilines wine-shop at 69 Avenida Levante in Jumilla. The organisers have made sure that there is something to suit everybody’s musical tastes with a wide variety of music from pop to flamenco, plus a bit of jazz. 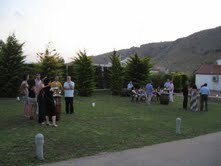 The opening concert will be at 12.00 on Sunday June 2 in Bodegas Viña Elena, and has already sold out. 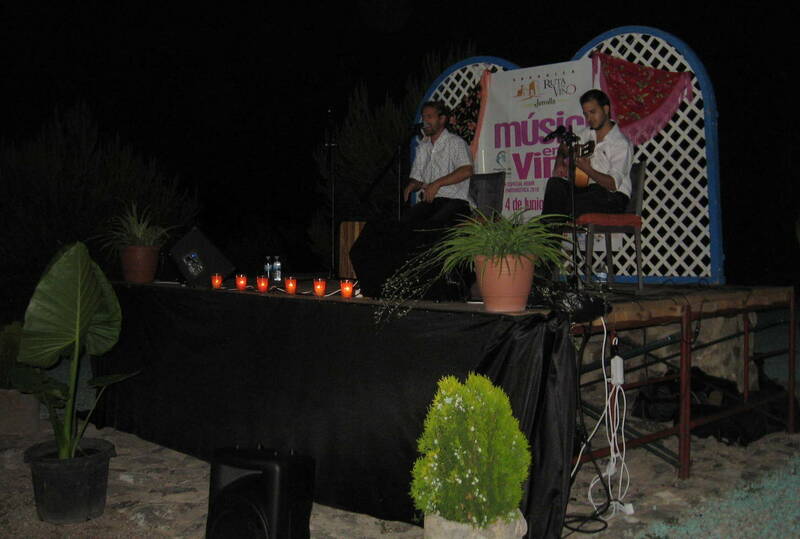 The music will be provided by the “Banda de Música Asociación Musical Julián Santos”, one of Jumilla’s two local bands. Bodegas Viña Elena is a family-owned bodega, 17km from Jumilla, which was founded in 1948 by Elena’s grandfather. 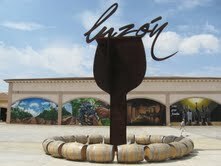 The second event will start at 20.00 on Saturday June 8 in Bodegas Luzón, which is about 3km from Jumilla on the road to Calasparra. The legendary Jumillano group “Magic Bus” will be entertaining everyone with their pop-rock music. Although I don’t have any favourites, I have to say that last year’s event was one of the best organised – and we particularly liked the welcoming drink and tapas before we even started on the tour! Unfortunately we will have to miss this year’s event as my niece is getting married in Sunderland on the same day: sometimes family has to come first! On Saturday 15 June the concert will be hosted by Casa Canales delicatessen in the centre of Jumilla. As there won’t be a bodega tour the evening will start at 21.30, with the extraordinary duet “Alex & Cristobal” delighting us with their great versions of pop, rock and blues. This is another concert that we will be sorry to miss, as we don’t return from the UK until 17 June. On Sunday 16 June at 12.00 “Cantos Jazz Fusión” will be in concert at Bodegas Casa de la Ermita, situated in El Carche 11.5 km from Jumilla. This talented trio will be interpreting the music of Frank Zappa, the Beatles and Miles Davis amongst others in what they describe as “Jazz Ambiental”. It will definitely be a great afternoon out for jazz fans! We are looking forward to the event organised by Los Chilines wine shop at 21.30 on Friday 21 June, especially as we will have already missed three superb concerts. “Antuan Muñoz y Banda” will be playing Flamenco fusion music at Salones Pio XII, in an idyllic setting overlooking the town of Jumilla. 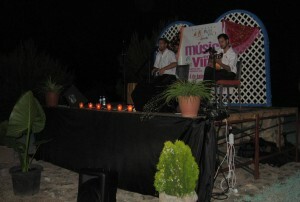 Their musical style is best described as flamenco mixed with rumba, reggae, rock, pop, funky: a veritable cocktail of rhythms and styles. Prepare to be amazed! Bodegas Xenysel is another family-run bodega, which is based in the countryside between Jumilla and Yecla. “Sazón Bolero”, a quintet formed of four Murciano musicians and a Jumillano singer, will be performing traditional boleros at the bodega at 20.00 on Saturday 22 June. We always get a warm welcome here, and we enjoy the concerts outside in the beautiful countryside, so we are hoping some kind person will offer us a lift there! The last event of the month will be held in Bodegas San Isidro (BSI) at 20.00 on Saturday 29 June. “Potato Head Jazz Band” will be playing “Hot Jazz”, also known as Dixieland. Their music will transport us to the New Orleans of the 20s and their show promises be a combination of music and good humour with audience participation – I can’t wait! The good news is that this bodega is close to where we live, so we can walk there easily and then stagger home afterwards. 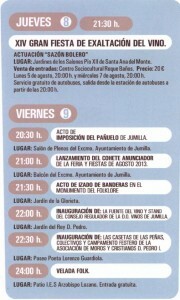 If, unusually, you don’t enjoy good music and good wine, these aren’t the only events in Jumilla this month. The tourist office is offering free guided visits on Sundays throughout June. On 2 and 9 June there will be guided walks to the Castle and the Old Town, starting at 10.00 from the tourist office. You are advised to book in advance as places are limited. On 23 June the theme of the walk is religious art and again it will start from the tourist office at 10.00. Finally on 30 June the walk will be along an urban route, leaving at 10.00 from Teatro Vico. The walks will be conducted in Spanish, so if you think that may be too challenging for your linguistic abilities, why not book a free Walkers Tour of Jumilla in English? Send me a message via the Contact page if you would like further details. Vino y Queso Sabe a Beso! Sometimes you just can’t translate something into English! The title of this post rhymes in Spanish but is far more prosaic in English: “Wine and Cheese Tastes like a Kiss” doesn’t have the same ring to it, does it? This is the fourth year of Jumilla’s popular wine and tapas promotion, which will run from 1 February until 3 March. It is organised by the award-winning local cheese company, Central Quesera Montesinos, in conjuction with Bodegas Carchelo. Not surprisingly the tapas must be cheese-based however, judging on previous years’ experiences, they will all be innovative and include much more that just a slice of cheese, as the local chefs compete to produce the best tapa. You can enjoy a glass of Carchelo wine with your tapa for a reasonable 2.50€, and don’t forget to ask for your free scratch card with each tapa as there will be more than 10,000 prizes to be won. Last year we ended up with a fridge full of cheeses and had to invite our friends round for a cheese and wine evening to get rid of them! If you plan to visit a minimum of twelve establishments, split between the pink and blue zones, make sure that you pick up a leaflet and get it stamped in each bar or restaurant that you visit. There will be a prize draw at the end of the promotion with various prizes to be won including spa holidays, cash, cheeses and wines. If you succeed in visiting all twenty-two bars and restaurants, your stamina will be rewarded with a guaranteed prize from the organisers. I’ll have my fingers firmly crossed, as I fancy a spa break! If you would like to combine the tapas trail with a free guided walk around Jumilla, please contact me using the form on the contact page. You may also want to fit in a tour of one of Jumilla’s local bodegas, several of which will be open at weekends during February. Click on this link for more details: Bodegas open at weekends. 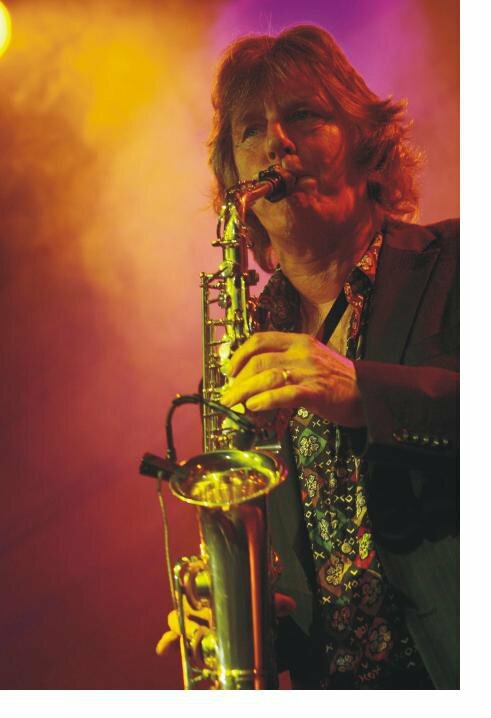 Johnny Pugh Band – live in Jumilla! The excitement is building up in Jumilla as people spot the posters advertising the first live performance of the Johnny Pugh Band in Bodegas Alceño. Johnny and his wife Jane only moved here in January this year but already they have made many Spanish and British friends, who can’t wait to hear him sing and play the saxophone with his new line-up. Johnny was the lead singer with the Climax Blues Band for five years, as well as playing the saxophone and harmonica with them. He has an impressive CV, having also worked as a session musician with the likes of Rose Royce, the Four Tops, Ben E. King, Martha Reeves and the Real Thing, to mention just a few. Click on this link to hear Johnny and the Climax Blues Band at the Rock & Blues Festival 2011: youtube video. Tickets for the concert cost 14€ including tapas and wine, with the chance to try the new Alceño Rosado 2012. You can buy your tickets at the bodega at Calle Barrio Iglesias no 55 in Jumilla, or in Los Chilines wine shop at Avenida Levante no 69, Jumilla. Tickets are also on sale in Get I.T. Connected in Pinoso, tel: 966 192 953. The date to put in your diary is Saturday 27 October at 21.00. To listen to more music from Johnny, click on this link: this is from a gig a few years ago. If you would like more information about the concert or about the Johnny Pugh Band, please contact Jane at: jojanepugh@yahoo.com. Finally, this is the poster to look out for. I am proud of the fact that my talented friend José María decided to use one of my photos, though he is responsible for the brilliant design! I can promise you a great night out – hope to see you at Johnny’s gig on 27 October! Here it is folks! The eagerly awaited event of the year in Jumilla is due to start next weekend – and I am way behind schedule in posting the details here. I blame (in no particular order) the Olympics, my summer cold and the difficulty of obtaining advance information about the festivities. Don’t miss the Fuente del Vino when you visit Jumilla during the Wine Festival: yes, there really is red wine flowing from the fountain in the Jardín de la Glorieta, though I doubt if it is suitable for drinking. Even John hasn’t tried it! If you want to attend the inauguration of the wine fountain, it will be held at 21.30 on Friday 10 August. For wine lovers the first event of interest is the Miniferia del Vino, which will be held in the Jardín del Rey Don Pedro from 12.00 on Saturday 11 August. Last year we paid the princely sum of 3€ to purchase a wine glass, then wandered slowly round the stands sampling wines from some of Jumilla’s best bodegas. Luckily each stand provided nibbles to help line our stomachs! Fortunately we live in walking or staggering distance of the gardens, but if you are driving I suggest you agree well in advance who is to be the designated driver. The special children’s procession, the Cabalgata Infantil, is on Tuesday 14 August, starting from the Plaza del Rollo at 20.30. It’s great fun though no wine is involved! 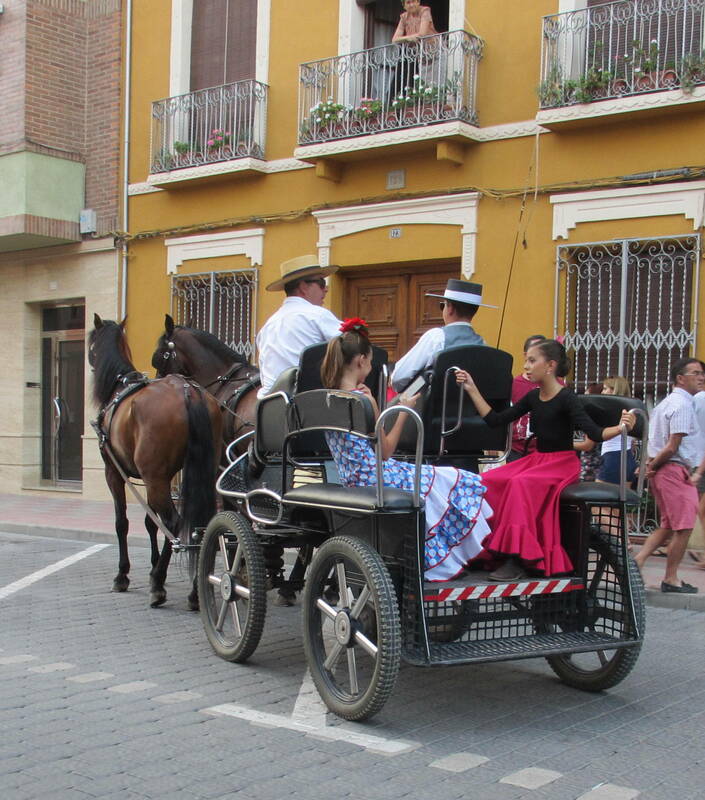 You can sample more wine during the Cabalgata Tradicional, which is our favourite procession and which will take place at 20.30 on Thursday 16 August. Decorated floats parade along the main streets of Jumilla, with the participants handing out samples of wine, sangria and local snacks while dancing to the accompanying bands. The tables outside the local bars are packed as everyone enjoys a drink while they wait for the procession to reach them. This is the procession for those of us who like to drink our wine rather than get soaked in the stuff! The main event for many people, especially the youngsters, is the Gran Cabalgata del Vino, which starts at 19.00 on Saturday 18 August. 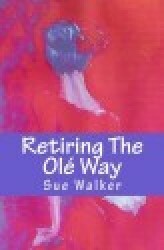 My only advice is to wear your oldest clothes, which traditionally should be white, and have a change of clothing for afterwards! As mentioned earlier, red wine is poured or thrown over the participants, who party through the night. You will need to have plenty of stamina if you decide to join in the fun! Click on the following link if you want to see the full programme for the Fiesta de la Vendimia. It includes such quirky events as Gran Prix, Jumilla’s own version of “It’s a Knockout”; the launching of the rocket from the town hall balcony to open the Fiesta; the popular grape-spitting competition, a gachamiga-making contest and many more. Below is a small selection of photos from previous years’ festivities. 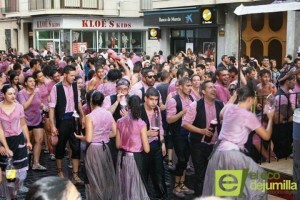 Gran Cabalgata - soaked in wine! Jumilla is renowned for its wine – tipped by the American wine guru Robert Parker to be one of the stars of the wine world by 2015, outselling both Rioja and Ribera del Duero – so stock up now! However Jumilla is also becoming well-known locally for its gastronomy, which is why, during last year’s Semana Gastronómica, so many people travelled from places like Murcia, Orihuela and Alicante to enjoy a gastronomic feast in Jumilla’s restaurants. This year the 6th Semana Gastronómica takes place from Saturday 5th November until Sunday 13th November, giving you plenty of opportunities to visit Jumilla for a special meal in one of the nine participating restaurants for an inflation-proofed 30€ (the same as last year), which you will be pleased to hear includes your drinks. You can also enter the prize draw to win a weekend for two in the Balneario Vichy Catalan near Girona: I have my fingers firmly crossed! Many of the restaurants will be featuring local specialities, which tend to be meat-based, so you might want to check out the menus before making your reservation if you are a pescatarian like me. Click on the link below to see the leaflet, which includes all the menus at the individual restaurants, as well as a list of establishments on the tapas route. We plan to go to Restaurante Monasterio as six of their seven starters include fish or vegetables, and the good news is that you share the seven starters between you. I just hope that I have enough room for my main course and dessert! If your budget doesn’t stretch to a meal out, why not come along and take part in the Ruta de las Tapas? You can try a tapa and a glass of Jumilla wine for just 2€, and there are eleven different bars and restaurants to visit, though preferably not on the same day – especially if you are the driver! If you go to four different venues, make sure that you get your leaflet stamped at each one so that you can participate in a prize draw to win a meal in one of Jumilla’s fine restaurants. We are hoping to visit at least eight of them – obviously on different days – which will give us two entries. For early risers who drive a 4×4, there is a guided route around the area on Sunday 6th November, leaving Bodegas BSI at 8 a.m. and finishing in Bodegas Viña Elena. Not having a 4×4, I won’t be there – at least, that’s my excuse! For more information, please contact: 693758933 (movil). The tourist office is offering guided walks around Jumilla on Sunday 6th and Sunday 13th November. Contact them for further details at: oficinaturismo@jumilla.org. Please note that the guided walk will be in Spanish, though there are information boards in both Spanish and English outside the main sites. However, if you would like a personalised tour in English, you can contact John and me via the Walkers Tours of Jumilla page on this website. Sunday 13th is the European Day of Wine Tourism, and where better to celebrate it than Jumilla? All of the bodegas on the Ruta del Vino will be open. Click on the links for each bodega on the Ruta del Vino website to get more information. Finally, also on Sunday 13th November, there will be an artisans’ market in Plaza de Arriba, which sadly we will have to miss as we are running the Race for Life (Carrera de la Vida) in Los Alcazares on the same day. If you don’t know Jumilla, there is a street plan on the Jumilla official website to help you find your way to the Plaza, as well as all the bars and restaurants. However don’t worry if you do get lost – there will be plenty to see and do in Jumilla during the Semana Gastronómica and you are guaranteed a warm welcome in any bar or restaurant that you stumble upon. Restaurante San Agustín, where you can enjoy a gastronomic meal as well as tapas y vino!